Assamese artists make cool, smooth, and lustrous mats in the villages. Shital means cool and patti means mats. Pharsingpara and Goalpara are the two famous villages where this art is practiced. Women are expert in weaving while men collect green patidai or mohtra reeds, from which the mats are made. The raw material required for mat is made with long-stemmed knotless reeds that grow profusely in marshy areas.. 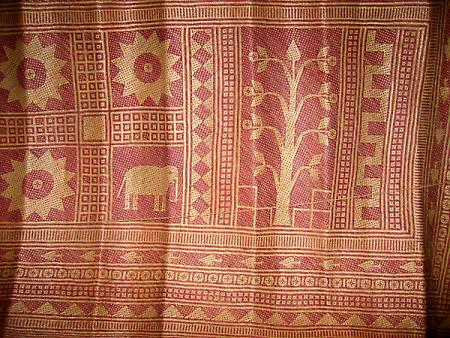 In Tripura, Shitalpati mats are made in two areas --- Belonia and Soonamura.